I hope everyone had a lovely November, I know I certainly did! I did plenty of reading, movie watching, and adventuring, most recently having seen the CP Holiday Train, which makes a yearly stop in Toronto. You can check out my short video below that I posted on Instagram - it was an absolute blast! Anyways, is anyone else EXTREMELY excited for Queen of Air and Darkness? I pre-ordered the Indigo Book Box edition of Cassandra Clare's latest, and can't wait for it's arrival! It comes with a signed copy, a bookmark, tote bag, and mug - I can't wait! In addition to Queen of Air and Darkness, I also can't wait to read Kiss Collector, Evermore, and The Cursed Sea. All three titles are very high on my to-read list, here's hoping I have the time to review them! Which of the following December 2018 book releases are you most excited for? Let me know! 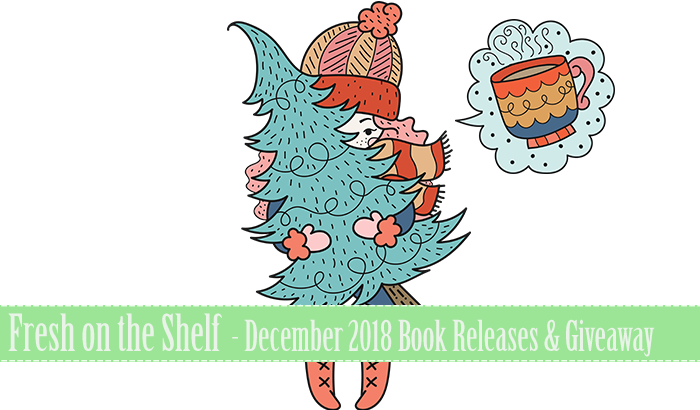 The giveaway is for one copy of a December 2018 book release of your choice at a value of $25CDN or under. The title does not have to be listed above to qualify if requested. One winner will be selected from all valid entries. Open to anyone who can internationally receive shipments from The Book Depository. I am not responsible for lost, stolen, or damaged books received. Please fill in entries accordingly for a valid entry.